This is a sponsored post with Door To Door Organics. All opinions are my own. I love that I’ve been eating more and more real whole foods and fresh veggies. I’ve been making actual dinner and lunch almost every day and it’s been great. I feel wonderful. My sugar intake is way lower than it’s ever been and I’m super happy for this 🙂 Yay. So I’ve been getting a bit creative in the kitchen. The cool thing is that I just kind of come up with stuff randomly – I don’t really browse the internet for recipes for dinner, not usually anyway. I just throw stuff together that I think would taste good and I hope for the best. 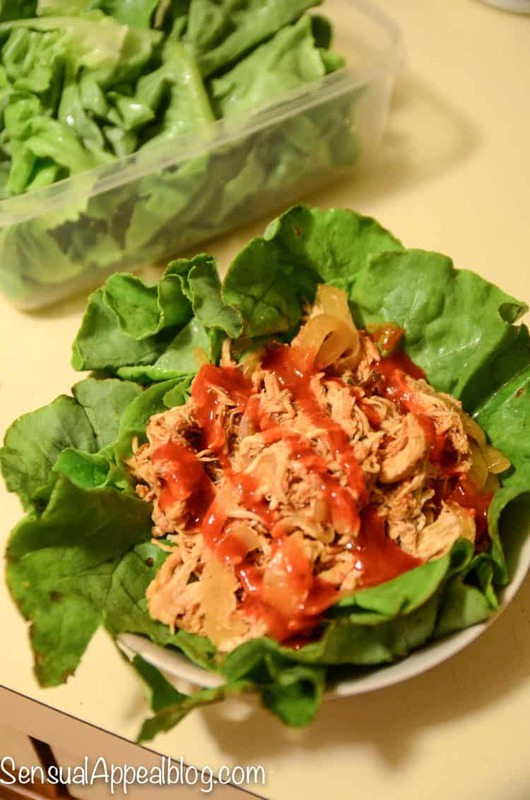 I’ve been eating a lot of chicken for the lean protein and when it’s frozen, I only know how to use the Slow Cooker to make it faster. I don’t wanna deal with defrosting it and then cooking it… takes so much time. 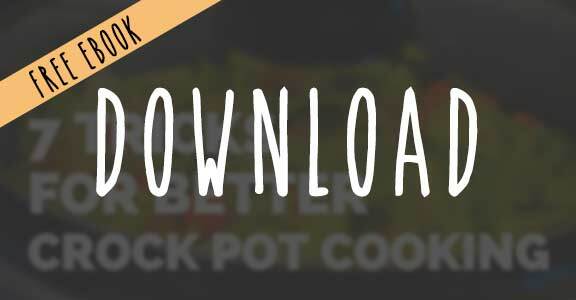 So I just use frozen chicken breasts and put them in the Crock Pot right away and it’s done in 10 hours. Simple. 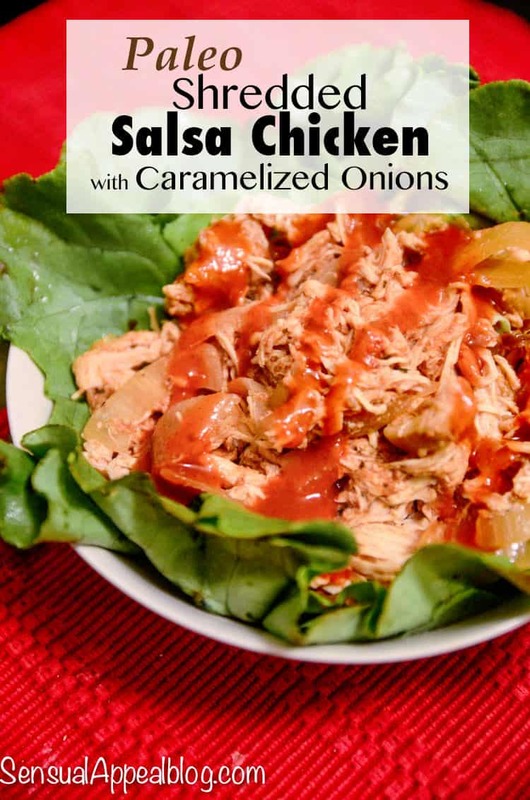 So that’s why I’ve been doing plenty of Shredded Chicken lately, since you obviously can’t cut up frozen chicken. I should probably do that ahead of time next time. Good thought. Anyway, this dinner and/or lunch recipe rocks. 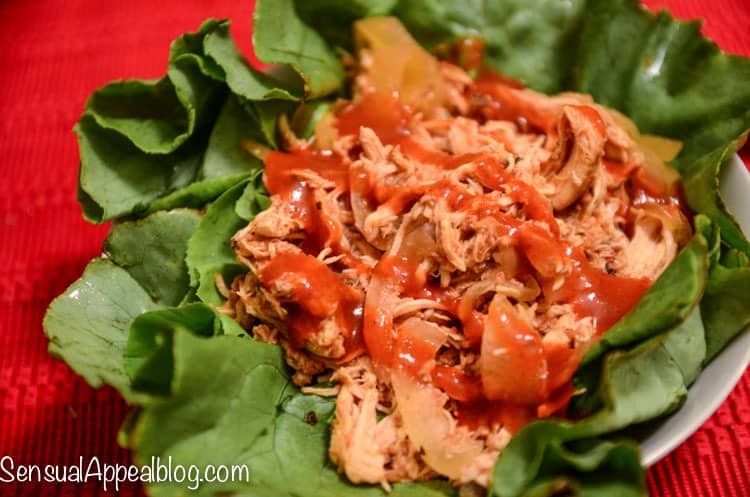 It’s Paleo, gluten free (obviously), dairy free, and low carb! So yay! 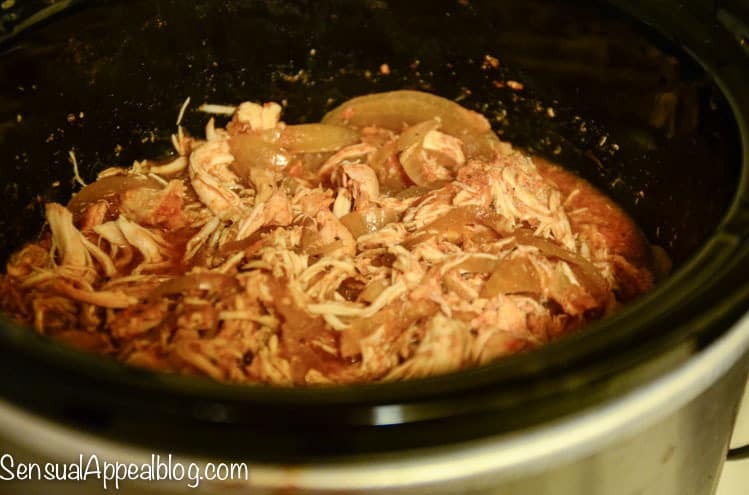 I basically wanted to combine the two recipes I’ve made in the past – Caramelized Onions in the Slow Cooker but also Shredded Salsa Chicken in the Slow Cooker… so I just put the two together and hoped for the best. It worked out. 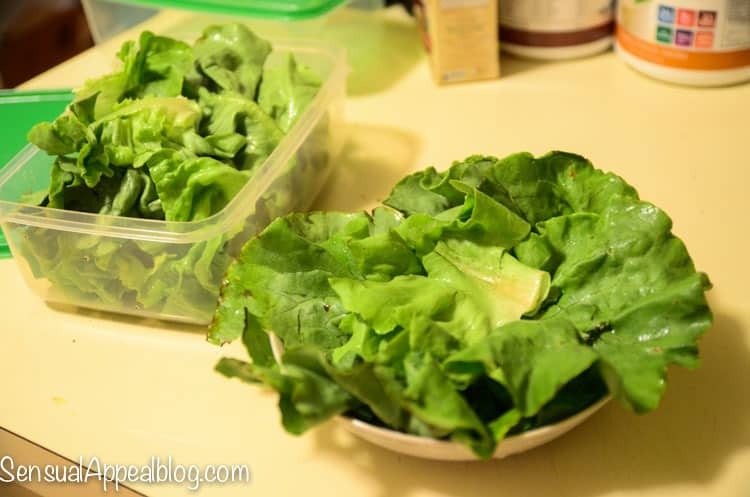 I had a head of lettuce and gorgeous onions from my latest delivery from Door to Door Organics. You could also get the chicken breasts from them too, I just had some in my freezer already. But you can literally get everything from them if you wanted to. Oh, you might be confused. 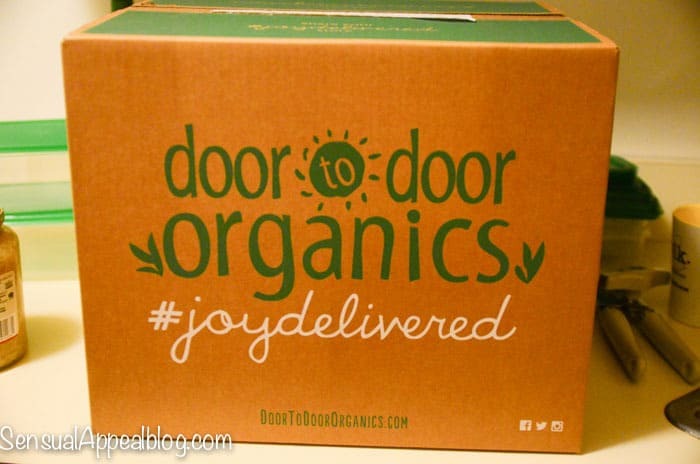 What is Door to Door Organics? It’s freaking AWESOME. Check out the Review + Giveaway if you want to try it out for yourself (Soooo worth it). It’s like basically combining having someone do your groceries for you (if you choose to get regular products) and having the Farmer’s Market come right to YOUR door. With fresh and mostly locally grown produce – fruits and/or veggies, depending on what you choose. Love it.